It's almost Easter and I've got my Easter eggs painted! 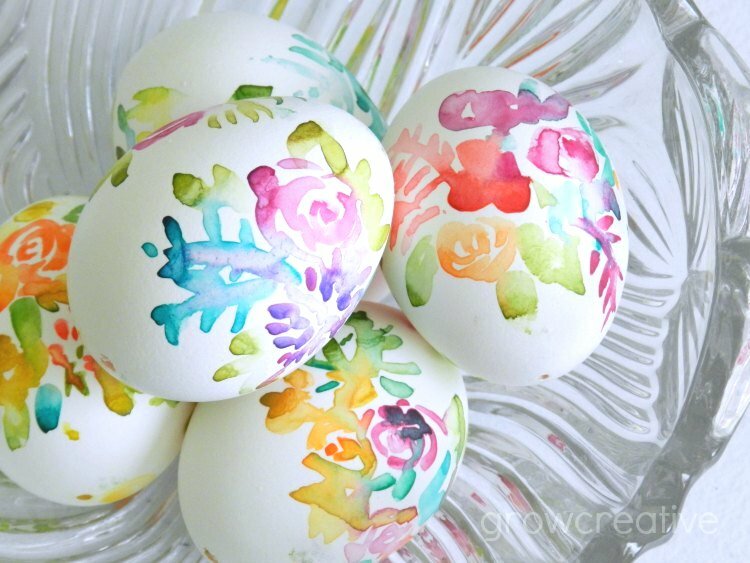 I've been wanting to try out my watercolors on blown eggs for forever. 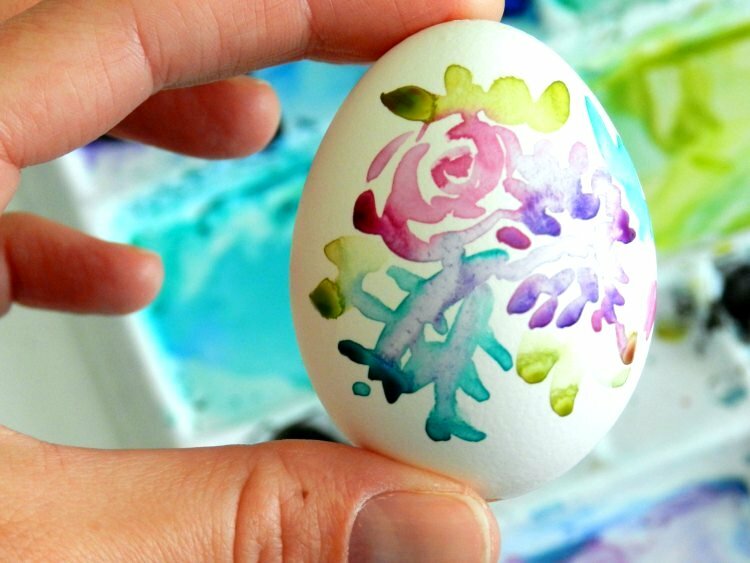 It turns out, eggs shells hold watercolor paint similarly to coldpress watercolor paper so it was easier than I thought. They just take a little longer to dry. I feel as though I comment that many of your pieces are incredible, but I can't help it. I'm in awe of your talent. 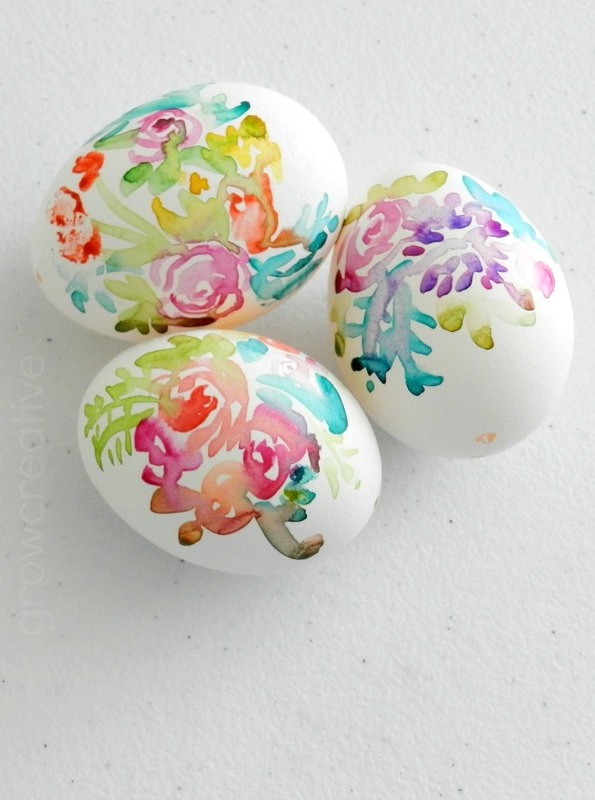 These eggs are stunning. How do you preserve them? I recommend your blog to many of the teachers that I work with ... keep up the good work! These are blown eggs- meaning I blew the yoke and white out of them and washed them out. They're more fragile that way, but they last way longer too! Elise, Loved your decorated water color eggs. 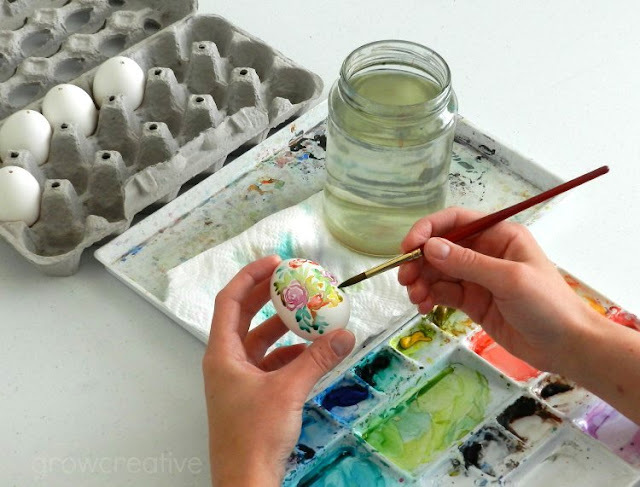 Did you know that you can buy eggs a dozen of Decorating white Easter eggs to decorate. They feel just like real eggs, probably a paper product. 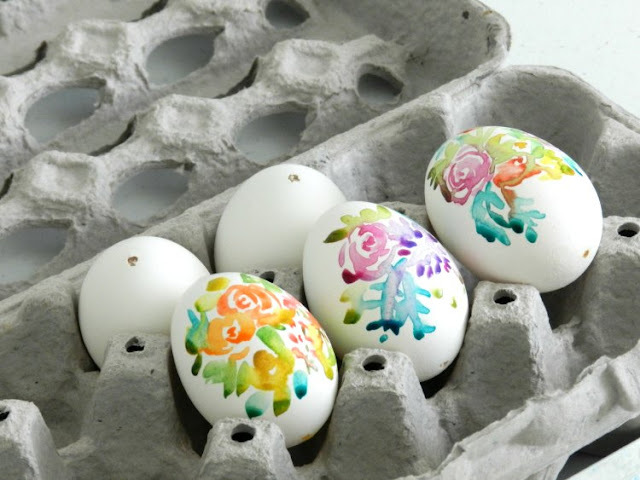 They also have blackboard eggs that you can draw on with colored chalk/or watercolors! I'm going to attempt water colors on them like you did on your chicken laid eggs. These will keep and you don't have to boil!!!!! My Senior students will love this and they can give them as gifts or brigthen up their baskets/vases. Thanks for the tip Sadie! I didn't know there was such a thing. Elise, So fresh and pretty. Thanks Jenna! you should try it! 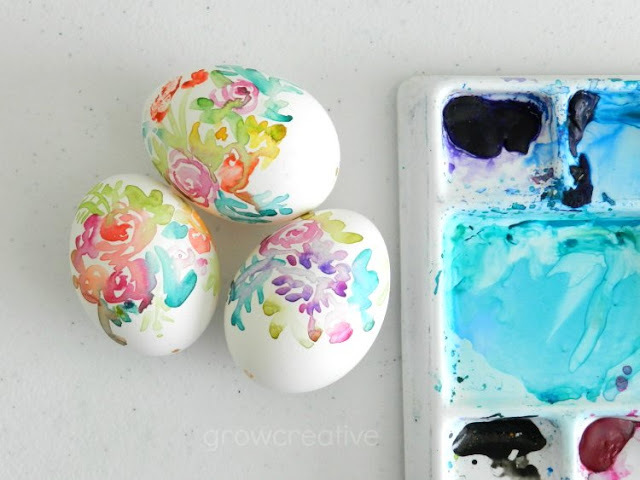 These are lovely and I'm going to make them! Thank you!! !